Children with damaged, discolored or missing teeth sometimes have problems with self-esteem that can be improved through aesthetic dentistry. When a child has lost one or more front teeth, the dentist can replace these teeth with an aesthetic maintainer. The artificial teeth can be placed onto a removable or cemented dental appliance. Also, dentists can apply aesthetic veneers, or plastic facings, on discolored primary front teeth. For mildly or moderately decayed front and back teeth, dentists now are able to place tooth-colored dental fillings. These materials have been dramatically improved and eventually, dentists no longer will need to place silver fillings. These tooth-colored fillings are bonded to the tooth surface and they not only are beautiful but strong as well. For severely decayed front and back teeth, silver-colored dental crowns no longer are the norm. Dentists now have tooth-colored plastic and porcelain materials that can be used to cover the entire surface of the tooth to restore both function and aesthetics. Some of these crowns have metal linings but still have tooth-colored facings that allow for beautiful aesthetic restorations. 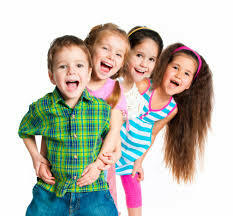 Many children benefit dramatically from aesthetic dental care on their primary teeth. Be sure to consult with your dentist if you have questions about whether aesthetic dentistry is right for your child. This entry was posted in Stress Free Dental and tagged children, self-esteem. Bookmark the permalink.